Carrying out a new car search in Tacoma can be made a simple task with the help of Olympia Auto Mall. 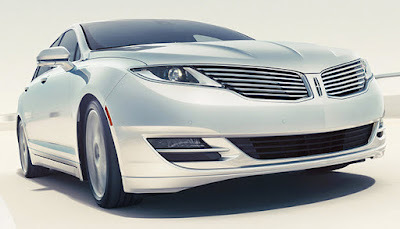 In our extensive vehicle inventory you will undoubtedly find the 2016 Lincoln MKZ Hybrid Sedan of particular interest. What makes the Lincoln MKZ Hybrid Sedan so attractive is not only its fuel efficiency, but also the myriad of performance, comfort and safety features that the model has to offer. To begin with, the Lincoln MKZ offers a best in class city EPA rating of 41 MPG and an unsurpassed highway EPA rating of 39 MPG. With the latest technology and undeniable modern luxury, the Lincoln MKZ Hybrid Sedan is the coveted model for many this year. What else makes the 2016 Lincoln MKZ Hybrid Sedan stand out in a new car search? • 2.0L I-4 Atkinson-Cycle, gasoline engine with 188 horsepower. • 6-Speed Automatic with push-button shift transmission. • Adaptive cruise control and forward collision warning. • Intelligent access with push start button. • Memorized settings for up to 2 drivers. • Voice activated navigation system. • Bluetooth and USB connectivity. • Monitor blind-spots with cross traffic alerts. • Advanced air bag system and inflatable back seat belts. • Electric power steering and tilt and telescopic steering wheel. • MyLincoln Mobile™ App with Embedded Modem allows you to connect remotely with your vehicle. • State of the art 1.4kWh lithium-ion battery allowing up to 85 miles per hour in all-electric mode. This is just the tip of the iceberg! The 2016 Lincoln MKZ Hybrid Sedan has so much more to offer. Find out more about the 2016 Lincoln MKZ Hybrid Sedan by booking a test drive with us at Olympia Auto Mall. We will also introduce you a wide range of other new and certified pre-owned cars for sale. To book a test drive or learn more about the cars for sale in Olympa, WA, contact us via email or telephone or browse through our online vehicle inventory today.